In the Pacific, Japanese defeats at the Battle of the Philippine Sea and around the Mariana Islands, plus losses in Burma, signaled the growing might of the Allies. In Europe, Axis forces suffered reverses and withdrawals in Italy, France, and on the Eastern Front, as the Allies invaded northern France and the Red Army virtually wiped out Army Group Center. General Jean de Lattre de Tassigny is appointed commander-in-chief of Free French forces in North Africa. Troops of the US Sixth Army land at Saidor on the north coast of New Guinea as part of Operation Dexterity, cutting off Japanese rearguard forces from their main base at Madang, only 55 miles (88 km) away. The loss of Saidor, a major supply depot, means that 20,000 Japanese soldiers are now sandwiched between Australian and US forces. Their only escape route is through dense jungle. 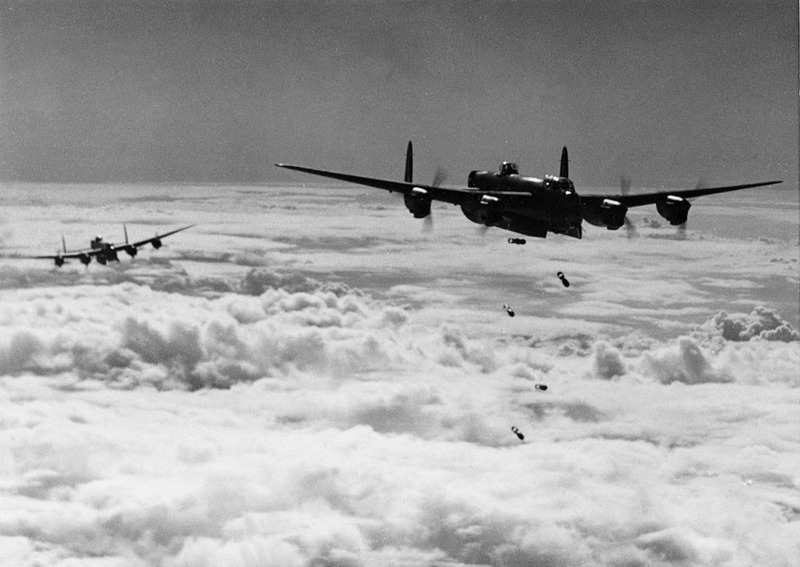 In a large-scale air raid on Berlin, the RAF loses 27 Lancasters out of 383 aircraft committed, plus 168 crew members. The damage to the German capital is negligible. Operation Carpetbagger - regular airborne supply drops to resistance groups in the Netherlands, Belgium, France, and Italy - begins. The Polish government-in-exile has authorized the Polish underground movement to cooperate with the Red Army only in the event of a resumption of Polish-Soviet relations (the Soviet Union has not yet recognized the London-based Polish government-in-exile). As part of the Red Army’s plan to recover the western Ukraine and the Crimea, General Ivan S. Konev’s 2nd Ukrainian Front launches an offensive toward Kirovgrad. Despite desperate German resistance, the town falls on the 8th. As part of the Allied attempt to break into Burma, the British XV Corps takes the Burmese town of Maungdaw. General Rodion Y. Malinovsky’s 3rd Ukrainian Front launches an offensive toward Apostolovo, but the attack is halted after six days in the face of fierce German resistance. Count Galeazzo Ciano, the former Italian foreign secretary and Mussolini’s son-in-law, is executed by firing squad in Verona. His ‘crime’ was to have voted with other fascists to oust Mussolini in July 1943. Ciano and his wife had been lured to Bavaria in August 1943 following a report that their children were in danger. Having been promised safe passage to Spain, they were handed over to Italy’s puppet fascist government. At Cassino, General Alphonse Juin’s colonial troops of the French Expeditionary Corps cross the Rapido River on the Fifth Army’s northern sector. Although they fail to take Monte Santa Croce, their success fills the headquarters of the Fifth Army with renewed optimism. The Soviet Second Shock Army attacks from the Oranienbaum bridgehead, and the Fifty-ninth Army attacks toward Novgorod, in an attempt to break the German blockade of the city. The next day the Forty-second Army attacks from the Pulkovo Heights. On the 19th, the three armies link up near Krasnoe, and two days later German forces in the Petergof and Streina area are wiped out. Fighting continues as the Germans try to stop the Red Army onslaught, but on the 27th a salute of 324 guns announces the end of the German blockade of Leningrad. Some 830,000 civilians have died during the long siege. The Allied attempt to break through the Gustav Line - a Frontal assault combined with a seaborne hook to the German rear at Anzio - begins. The British X Corps attacks across the Garigliano River and strikes northwest toward the Aurunci Mountains and the Liri Valley. In response, the German commander, General Heinrich von Vietinghoff, transfers two armored divisions to counter this new threat. As part of the Allied attack on the Gustav Line, the US II Corps attempts to cross the Rapido River to clear a path for the US 1st Armored Division. The German defenses are strong and the Americans suffer heavy losses. 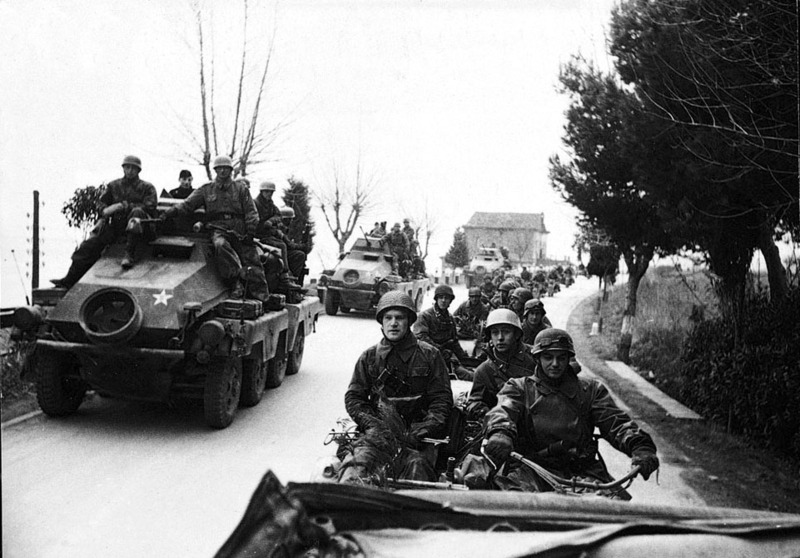 Troops of the Allied VI Corps make an amphibious landing at Anzio, behind the German lines. Commanded by US General John Lucas, the initial attack is almost unopposed and the road to Rome is open. However, although by the evening Lucas has nearly 50,000 men and 3000 vehicles ashore, he orders his forces to dig in to repel any enemy counterattacks. He thus misses the opportunity to strike inland from the beachhead. 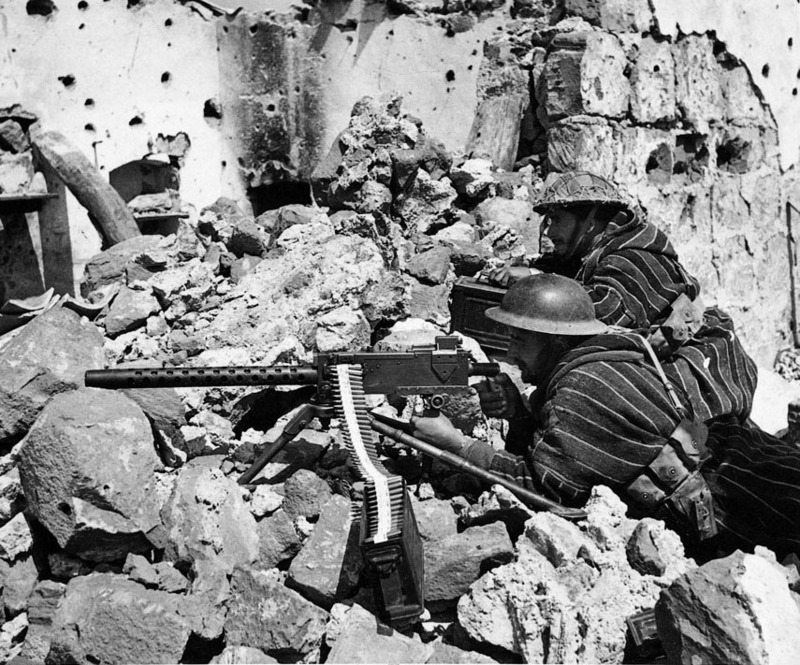 At Anzio, Allied patrols venturing inland are halted by increasing German resistance. At Cassino, the US 34th Division finally establishes bridgeheads across the Rapido River to allow the armor to cross. At the other end of the Allied line, French troops make further gains. Argentina has severed relations with Germany and Japan following the uncovering of a vast Axis spy network in the country. Following several days of fighting, the Australian 18th Brigade takes the key Japanese position of Kankiryo Saddle. The American conquest of the Marshall Islands, Operation Flintlock, begins with an amphibious assault against Majuro Atoll. The strategy is to concentrate on key islands and their air bases. Once these have been taken, enemy garrisons on lesser islets will be starved into submission. The landing on Majuro was made on one of the atoll’s islands, which was undefended.